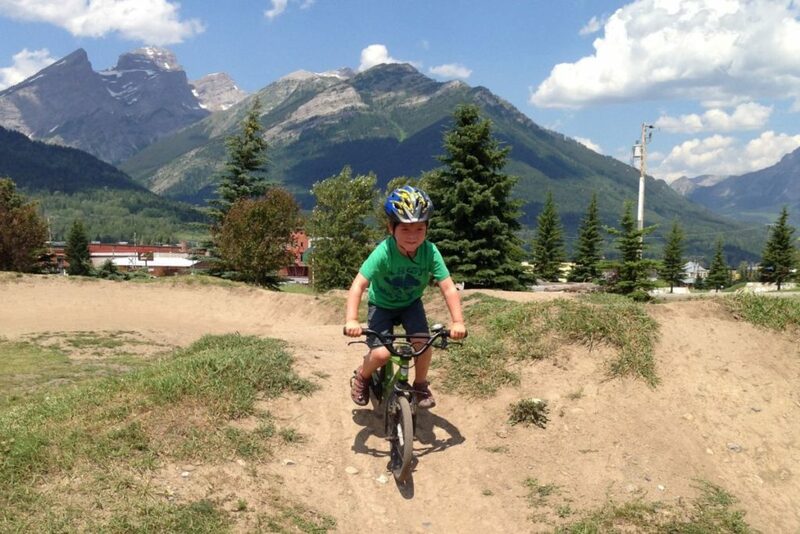 Rise and shine it’s almost bike park time! With barely a moment to wipe winter’s sleep out of our eyes, the Bike Crew commenced our clean-up earlier this month. The FAR trails emerged from their snowy slumber with only a few ‘nightmares’ to be soothed away before we swing open the doors on opening day on June 23rd, 2018. Last fall’s dramatic wind event left a clever game of forest pick up sticks best suited for woodland giants. 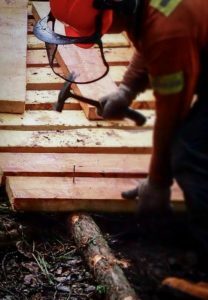 We have to give a huge shout out to the FAR Saw Crew for their extraordinary talents helping to clear the challenging forest floor tangles and treetop snags. Once these hazards were removed, our forest gnomes headed to work in the dirt and to repair damages to wood features. Top Gun, Deer Trail, Duff Dynasty, and Bin Logdin have since had machine touch-ups throughout. Will Power, Monorail, Mr. Berms, and Ben’s Big Rig are next up on the list. 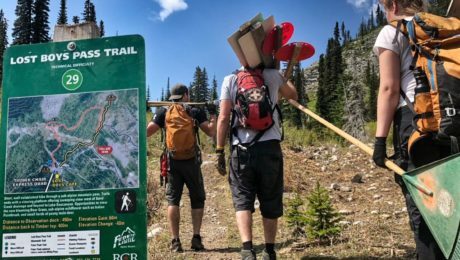 The majority of our summer mountain signage has been deployed with a major upgrade this year to the new Ride Smart trail marking program. 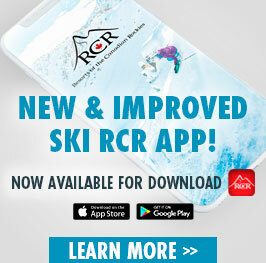 This new system differentiates freeride vs technical trails and helps to identify trail progression, ensuring riders have an enjoyable and safe experience on the mountain. Not to mention, we also have a brand-new hiking trail map and guide brochure this summer. 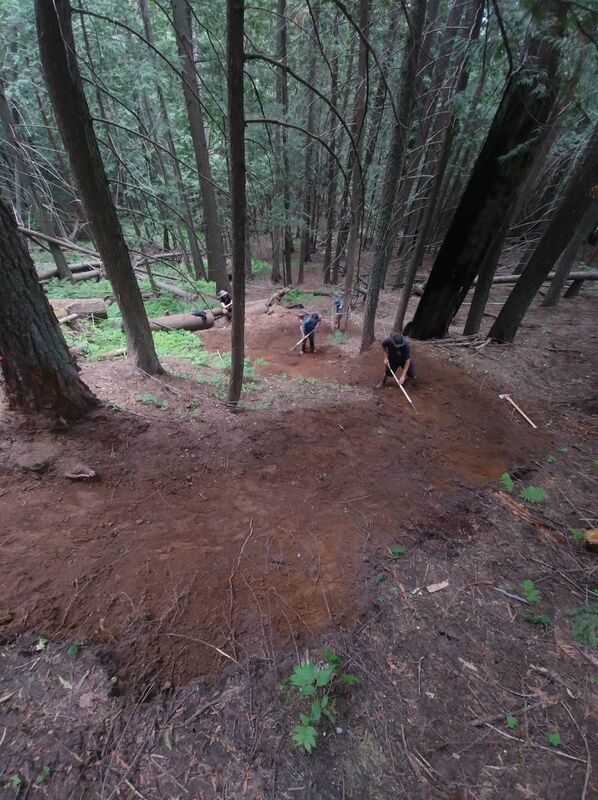 As of today, this is what we’ll be able to offer for opening weekend: all Elk side trails, all multi-use trails, Rumplestumpskin from the top, all lower Timber trails, and the bike skills park. 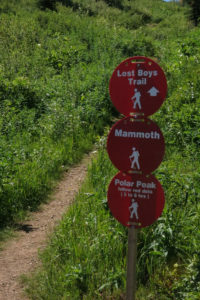 For the hiking crowd, again all multi-use trails, Megasaurus, Siberia Ridge Loop, and Lost Boys Look Out. 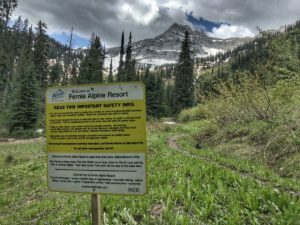 All other hiking trails are currently snowbound and will remain closed for safety. What else is on the plate for summer 2018? 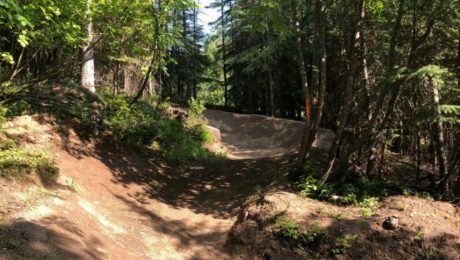 We’ve decommissioned Canada Cup, Cripple Creek, and Hornet from our Bike park trail portfolio to make room for some exciting new projects. 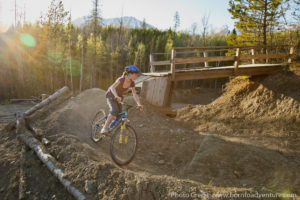 We would like to ask all riders to respect these closures so that we can focus on moving forward instead of repeatedly heading ‘back’ to enforce signage and fencing during the season. 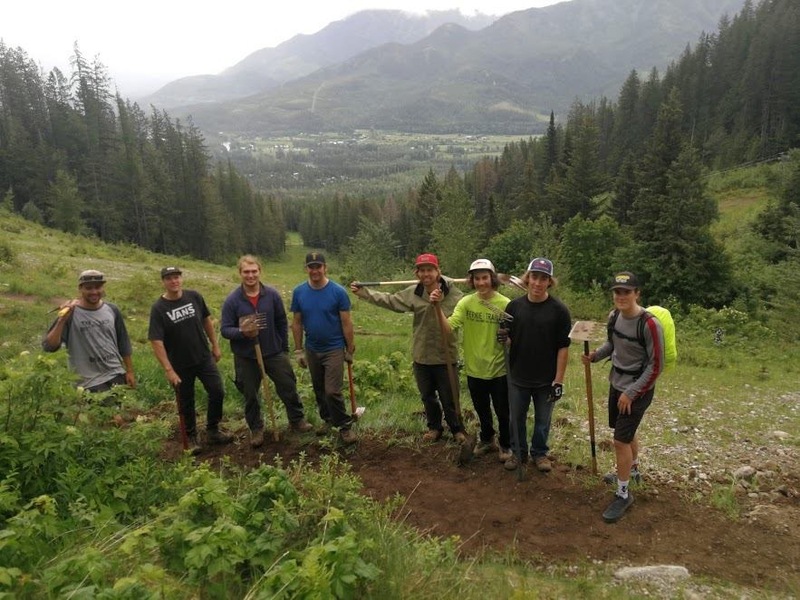 The BC Cup / Canada Cup is returning to Fernie, July 21-22nd with the intention of having the full upper BC Cup course open for public consumption the remainder of the summer. In addition to our legendary Thursday Night Race Series presented by SCOTT, we have partnered with the North Face to offer an all new Running Race series on Thursdays as well. There are places that call themselves 5 star campsites. Have you ever been to a campsite that gives you 5 marvelous experiences with you starring in them? 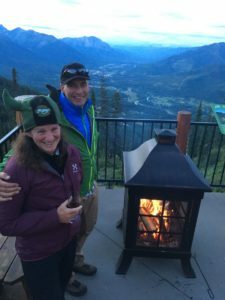 Fernie Alpine Resort mountain top camping did that for a group of 3 of us. 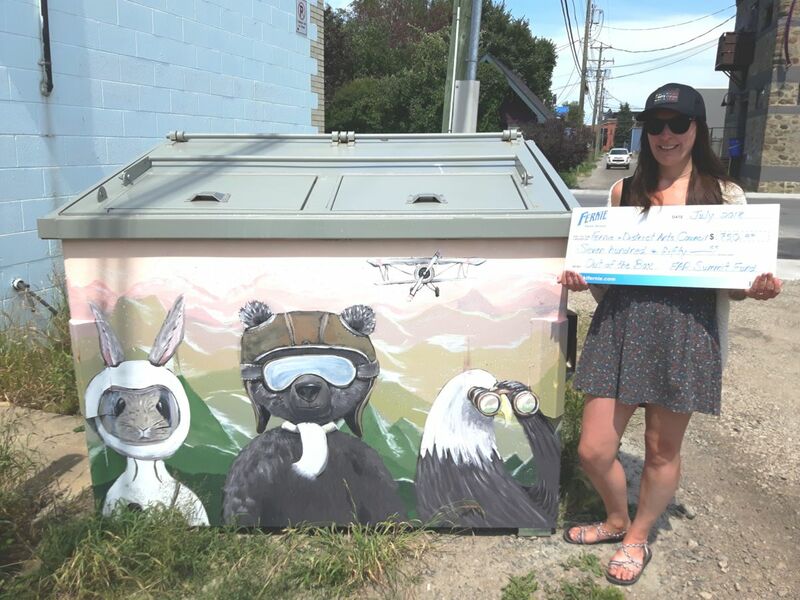 We had arrived at the base of Fernie Alpine Resort. Cory, Cennia and myself. We were met by the resort staff that was going to aid us during our stay. Nels, Dini and Kelly. It was 3:30 on a Saturday afternoon. The weather hot and dry. The resort base was filled with people. Some milling about, others heading off to do summer activities that the resort had to offer. 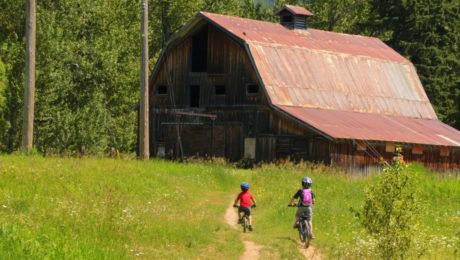 Like biking, hiking and sightseeing. We were about to do a night of camping on top of the world. Dini had checked us in and issued us our lift tickets. Nels chatted us up with the lay of the land and what to expect. Kelly and others helped unpack our gear from the car and load it into the suburban. Our camping gear was to take the mountain road up. We were to take the Timber Express chairlift up. Nels and Dini walked us to the Timber Express chairlift. Cennia requested to go up the chairlift first by herself. She wanted to take pictures with her new Cannon camera. Cory and I were to follow. As the chairlift scooped us up, Cory said “Here we go”. At that moment, the chairlift swept us upwards, grabbing our bodies with a mild force. I saw a rush of excitement in Cory’s eyes. Seconds later he was exclaiming, “I have never been on a chairlift before!” “Has this got your adrenalin up?” I asked him as the swing of the chair ended. “Oh Yeah”, he replied in an affirmative voice. We settled into the ride up while admiring the breathtaking 360 degree view. 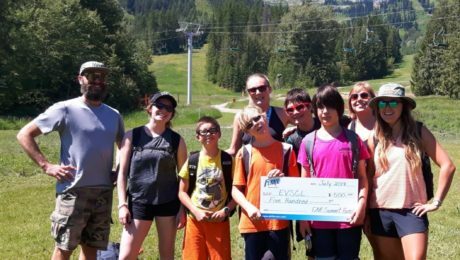 The chairlift climbed higher and higher. Up and over the light green vegetation we rode. 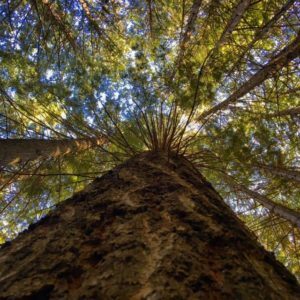 Over the tall dark evergreen trees we sailed. We spoke enthusiastically at the changing terrain and distance below our feet. “This is awesome”, Cory stated. After eleven minutes of riding up we arrived at the mountain top campground area. Disembarking from the chairlift, we headed over to the Lost Boys Café. A mountain-top café with an outside deck. It was the central location of the mountain top campground with secluded camping spots near it. As we entered the Lost Boys Café, Dini offered us cold refreshments. We each took one and walked out on to the deck. 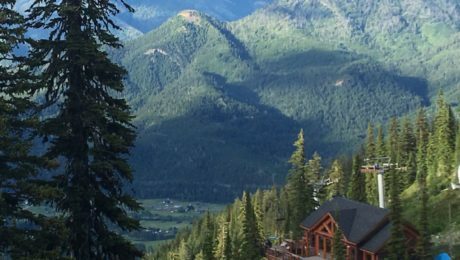 An impressive spectacular view of looking down into the Elk Valley was before us. 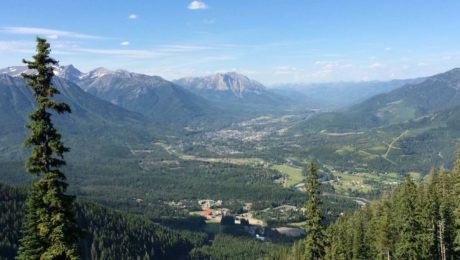 The miniature town of Fernie below with lines in the valley floor that were roads. This was an amazing vantage point. Nels, took us to the deck railing and told us about the valley and a little bit of its history. He pointed across to the tops of other mountain peaks giving us their names. Cennia was taking pictures with her new camera. It was all so peaceful and serene. Next we sat in large chairs taking in all the majestic scenery, chatting and enjoying the hot summer day. The deck had a metal fireplace with no fire. There was a ban on open fires due to a hot and dry summer in the region. That was OK. The place was fully licensed and the staff attended to all our needs. It was time to head over to our campsite and set it up, a two minute walk away. There we unpacked our gear and everyone pitched in to set up our tent. I remember Dini getting the tent rods ready and Kelly orchestrating the rise of the tent. Nels handing out the tent pegs. Tap, tap, tap went the hammer on the tent pegs. Everybody pitched in and within 15 minutes our campsite was set up. 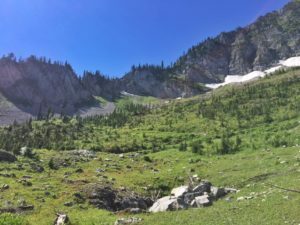 It was in a clearing on a small plateau nestled in by two giant mountain rock pinnacles called Mammoth Peak and Elephant Head. Mammoth Peak still with a small patch of snow in a shaded area. A picnic table was next to the tent plot. Green vegetation spread out from the plot to the base of the rock pinnacles and surrounding tree lines. It was a fantastic camping spot. This was where we were going to spend the night under a full thunder moon. After enjoying the campsite for a while, we headed back to the Lost Boys Café for refreshments. There we relaxed and again enjoyed ourselves on the deck of Lost Boys Café. We were going to explore. 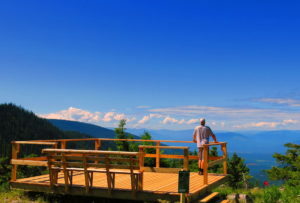 Visit the Lost Boys Lookout and travel over ancient sea beds uncovering fossils of ancient times. Not before long we were on our way. Parts of some trails were lined with a strings of rocks on each side. Other parts had lush leaves, flowers and bushes along the path. 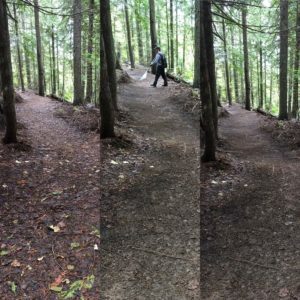 We hiked though sections with trees aligning the path. Hiking up some and hiking down some. Nels and Dini would take turns narrating as we went along. Dini would point to some of the floral and tells us their names, explaining which one bloomed early and which would bloomed late. Nels with history lessons about the mountain and why the rocks were upside down in this area called the lizard range. All our questions being answered as we hiked along. We learned that the bottom branches on the trees that started high up from the ground was because that was how high the snow fell in winter. The Lost Boys Lookout was breathtaking with yet another stunning view of the valley. I even collected an ancient fossil along the way. All in all is was a sensational hike. We returned to the Lost Boys Café to relax, drink and mingle. Entering the café, I now saw a table set with white plates, wine glasses and silverware. It was a setting for 6. A barbecued dinner was being prepared for us. Kelly, Dini, and Nels were to join Cennia, Cory and myself for a delicious dinner. I realized we all were enjoying each other’s company and this was going to be a fabulous way to have a camping trip meal. Cory said, “This is great, we didn’t have to pack any food”. Dini and Kelly brought in the food from the deck and then we all sat down. The meal was barbecued steak. Skewers with vegetables roasted over the barbecue. Potatoes baked in the barbecue and a fresh green tossed salad. We dug in, dressing our plates with all the goodies that was set before us. Chatter was going around the table. Drinks being poured with the light clanking sounds of dinner ware. We were festive, enjoying a grand camping feast on a mountain top. The view as we ate was remarkable. The sun was about to set and I reminded Cennia that she wanted to get a picture of the Sun setting from the mountain top. She slipped away for a minute and did just that. After the meal we relaxed back on the deck. Telling each other stories about events in our lives. What a great day so far we all had. About an hour later we headed back to the campsite. When I returned to the campsite it was dark, however there was just enough light to make out where you walked without a flash light. No open fire was allowed. The three of us sat at the picnic table, reflecting on the day’s events together. It was about 11:30 pm when the most spectacular thing happened. The moon started to crest over the pinnacle of Mammoth Peak. As it moved up I could see tiny black outlines of trees in its cresting circle. I gaped at it, feeling how lucky I was to witness on a mountain top, this thunder moon. As I stared at it I could see it slowly rising. Its glowing circle becoming full as it ascended up and over the mountain peak. Higher and higher it climbed into the night sky. What an awesome way to end night. I woke up early and wanted to catch the sun rise from the Lost Boys Café deck. I got there just in time to take a picture. A tranquil peaceful morning was taking shape. Soon Dini and the others arrived. A tasty breakfast was served and by 10:00 am we had all our gear packed up and headed down the mountain via the chairlift. Like the mild grabbing force of the chairlift the mountain top adventure had grabbed me. Like the amazing vantage point at the Lost Boy’s Café, I was amazed with what I saw and experienced. 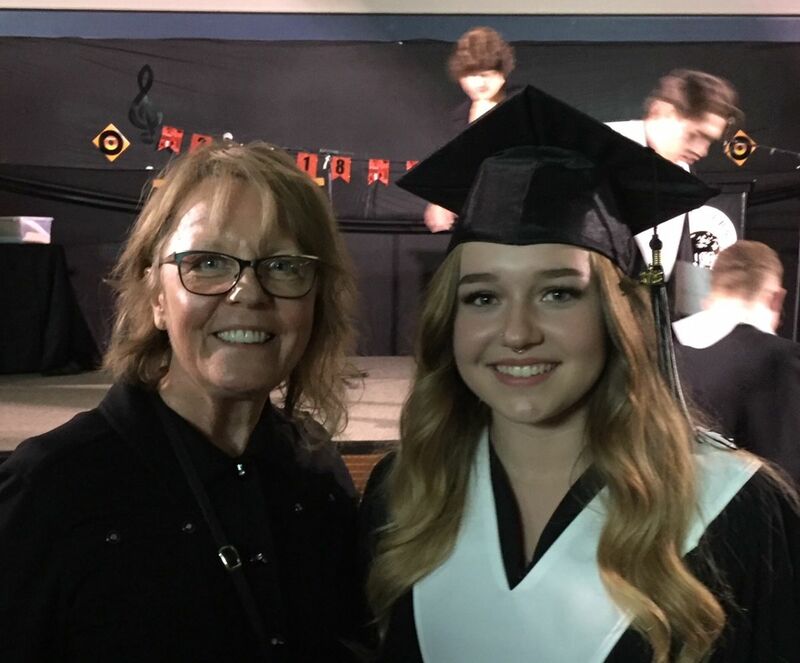 Like the history lesson, I learned of new friendships with the staff. Like the festive meal, the camping was joyful and hearty. Like the full moon, the camping trip had thunder! 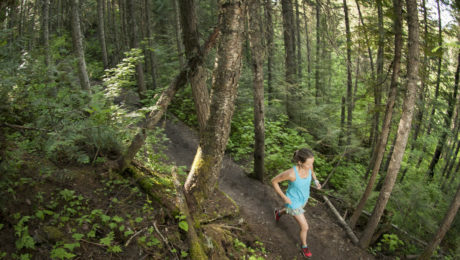 NEW this summer – a trail running weekend clinic just for the ladies, so grab your girls and join us at Lizard Creek Lodge for a weekend full of fitness, fun, relaxation and girl time! 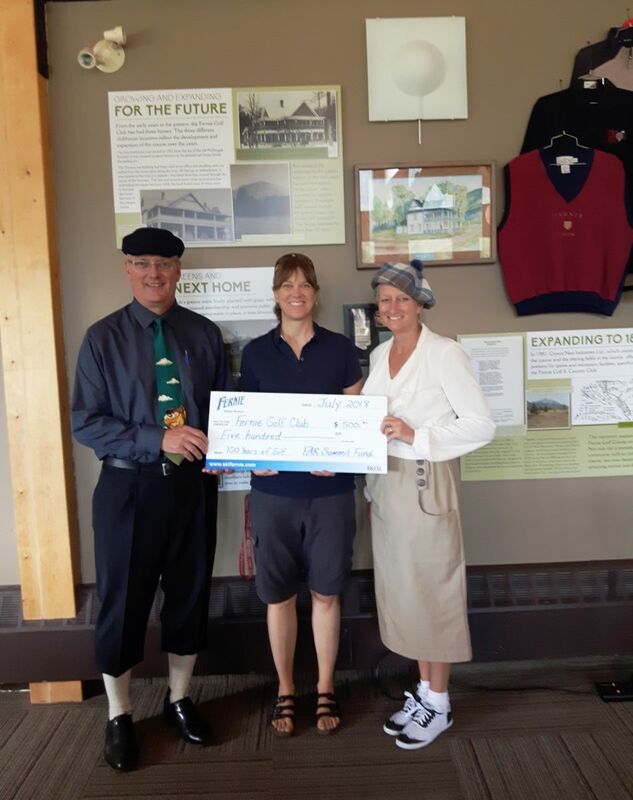 Hosted by Magi Scallion, an avid trail running with a special fondness for flowy trails, Magi has represented Canada internationally in trail running as well as cross country skiing. 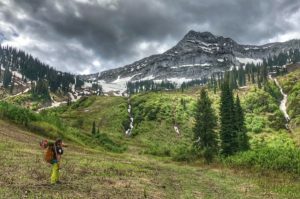 Now sharing her passion for trail running through retreats, clinics and camps – this clinic will cover uphill and downhill running technique, program design and general running form. 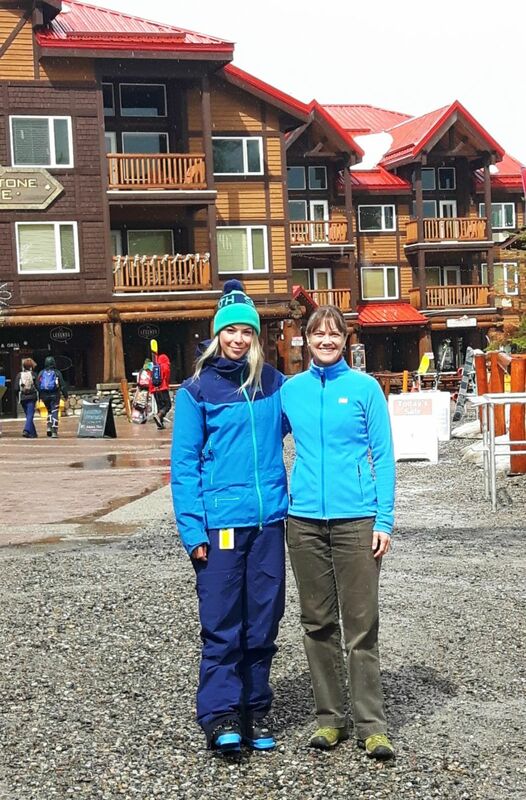 Stay at Lizard Creek Lodge, located at the base area of beautiful Fernie Alpine Resort, you’ll enjoy your stay in your comfortable room and meals provided by Cirque Restaurant (located in the lodge). Also at Lizard Creek Lodge is an indoor gym and outdoor pool/hot tub for an end of the day soak. 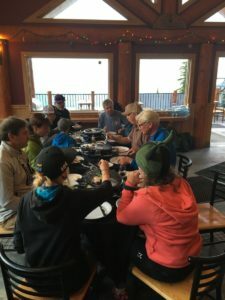 The clinic will run from September 8th – 10th, included in your fee is your accommodations, trail running clinics, welcome wine & cheese as well as all other meals, a yoga class and a massage. Now that sounds like a perfect girls weekend! 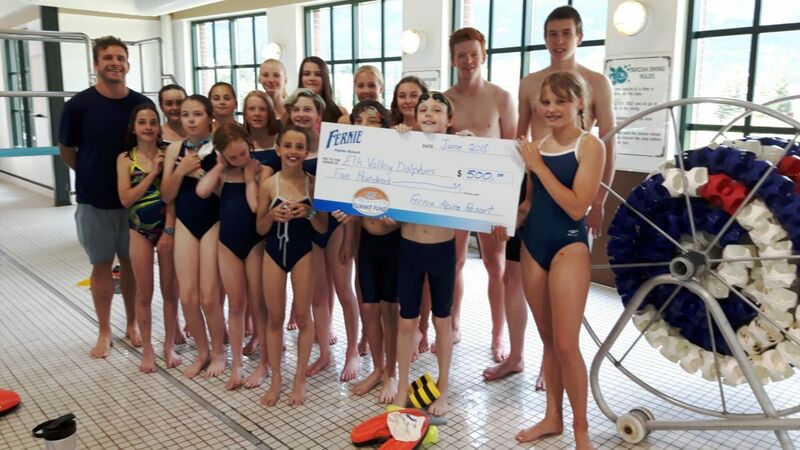 Click the booking link for pricing information and to register! 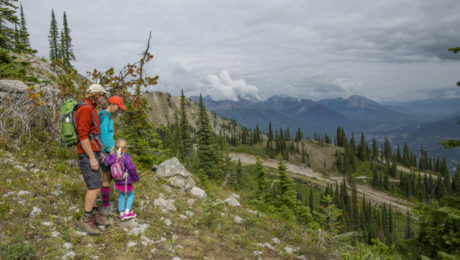 Considered by many of our staff to be the hidden gem of the resort, the Skeleton Flats / Summer Road loop takes hikers on a 4km loop through the stunning Lizard Bowl. 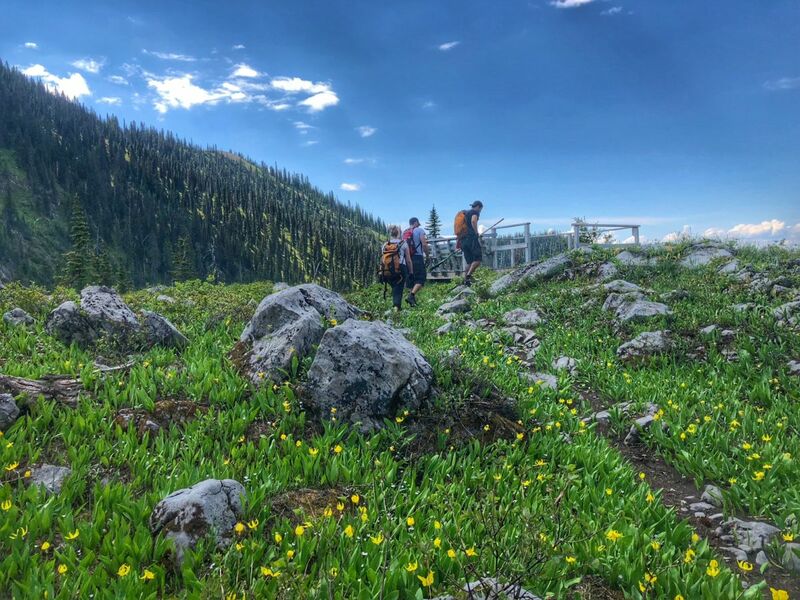 Beginning on the Summer Road trail at the top of the Elk Chair, hikers steadily climb (16% grade, 345 m elevation gain) a wide road with panoramic views of the city of Fernie and surrounding peaks before reaching the Lizard Bowl Observation Deck. Interpretive signs line the viewing platform and explain some of the historic features of the area. Continuing further up trail, hikers will make two scenic road switchbacks before reaching a trail junction. 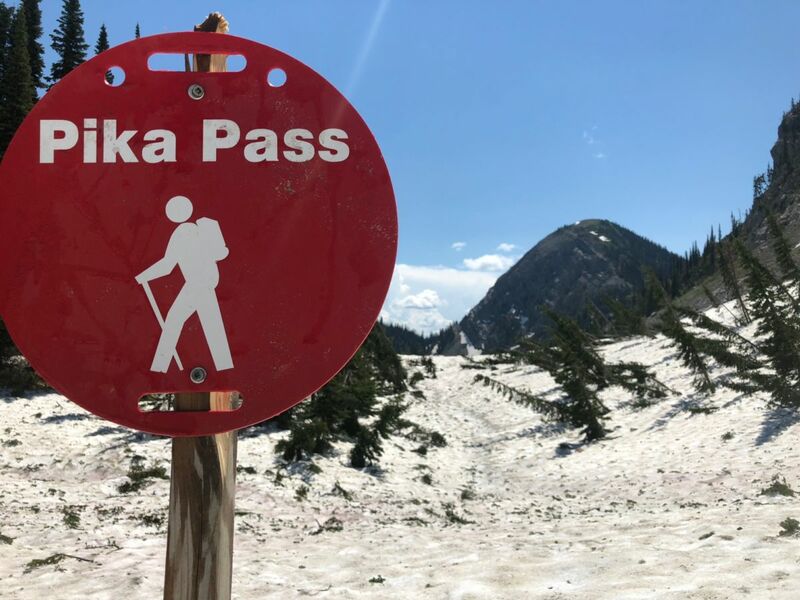 From this point, hikers may choose to either ascend via the Skeleton Flats trail (and descend the Summer Road at the end of the hike) or continue up the Summer Road and complete the loop in reverse down the Skeleton Flats trail. Both options are equally as rewarding. 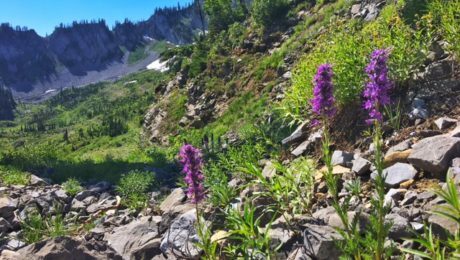 The Skeleton Flats trail climbs through the Dancer avalanche path to reach a stunning sub-alpine meadow exploding with wildflowers. 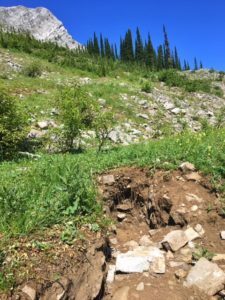 Of interesting note are large timber debris piles and trees which have been broken or become bent over as a result of powerful winter avalanches. Hikers may notice the large ‘caves’ or sinkholes, many of which have been filed in with large boulders for safety. These are formed by the easily dissolveable limestone rock which make up the Lizard Range, known as Karst topography. 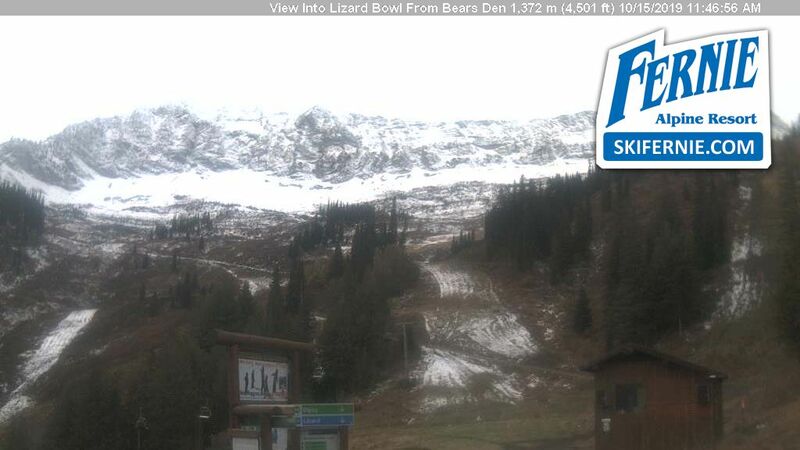 The trail then begins its traverse across the top of the Lizard Bowl. Keep your eyes on the rocky headwalls for white mountain goats, as they are often spotted here! 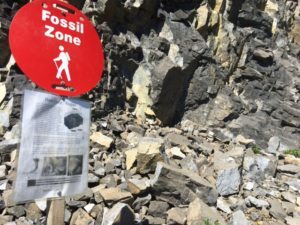 As you approach the Bear Chair unload, a marked Fossil Zone presents an exceptional rock wall, hosting a variety of ancient sea floor life fossils. 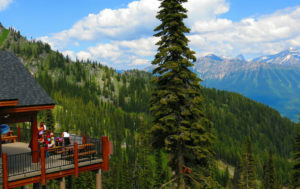 The top of the Bear Chairlift marks the junction with the Summer Road trail and the descent back down to the Elk Chair. Moose, bears, deer, ground squirrels, and even badgers can often be viewed here. 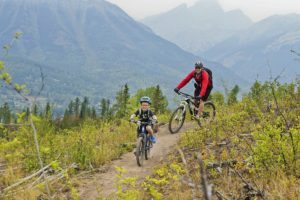 Be sure to stop by the Nature Bob’s Interpretive Centre located at the top of the Elk Chair to learn more about the flora, fauna, and fossils that make Fernie unique or to discover more hiking options at the resort. Let’s get ready to Rumple…. stumpskin that is! With the road to the top of the Timber chair now free of snow, crews were able to go exploring on our upper elevation trails this week. After a little bit of work tree falling and debris clearing we can now advise that Rumple, TNT, Bike Thief, and Neverland will be open top to bottom next weekend. 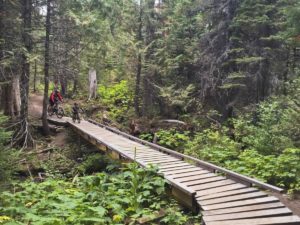 Riders can expect to encounter a few snowy patches and early season conditions on the upper mountain trails. 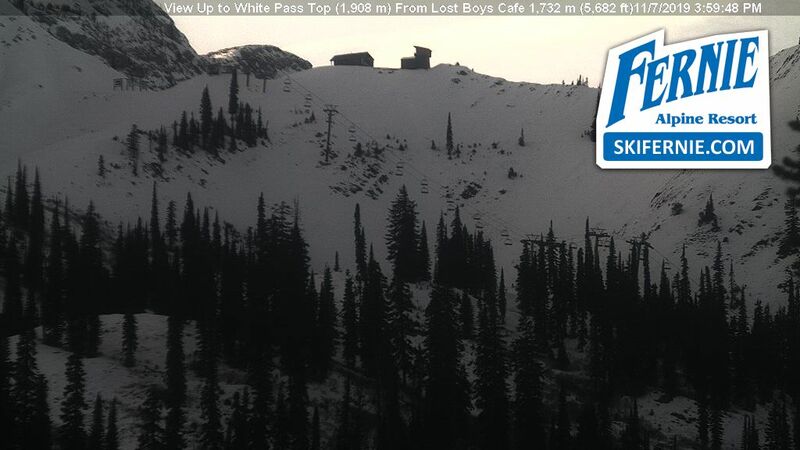 Last year’s new BC Cup line on Bike Thief, and the section of TNT that was closed last year for Lift Maintenance work on the White Pass Chair will re-open for this season. 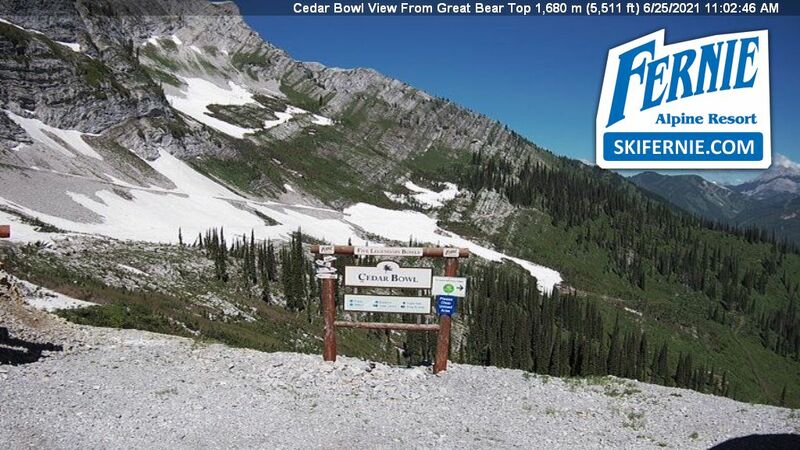 And in the other corner, all Elk Side trails are also great contenders for Opening Day. Crews have been taking care of a few last minute projects and buffing out all your favorite rides this week. 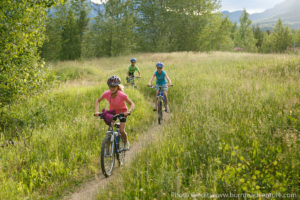 With close to fifty hiking and biking trails on the mountain, this is a huuuuuge task for our crew. 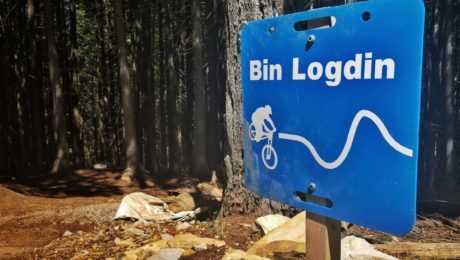 We’ve been focusing on our heavy weight trails (Top Gun, Eville, Duff Dynasty, Bin Logdin, Deer Trail, Hollow Tree…) and are working our way through to those which receive a little less traffic. 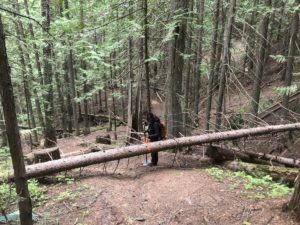 Fortunately, many of our trails, like Bin Logdin and Duff Dynasty, just needed a little tree falling, drainage clean-out, and a quick fan rake to get rid of the blow down debris. 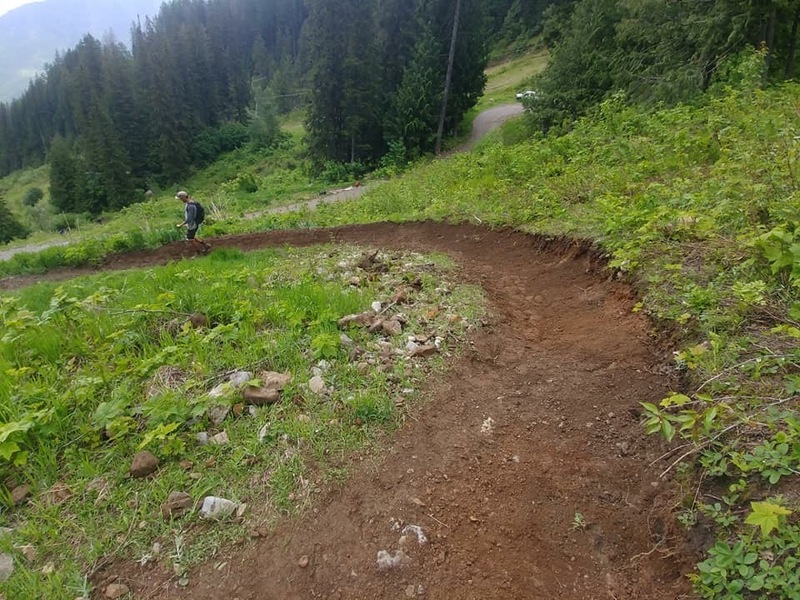 Riders can expect great conditions on the Elk Side trails with newly worked berms and jumps perhaps riding a little soft on opening day. 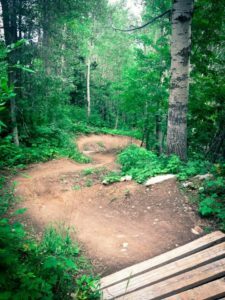 Take a few slow, warm-up inspection laps your first few rides to re-familiarize yourself with the lay of the land and some of the new changes in place this season. 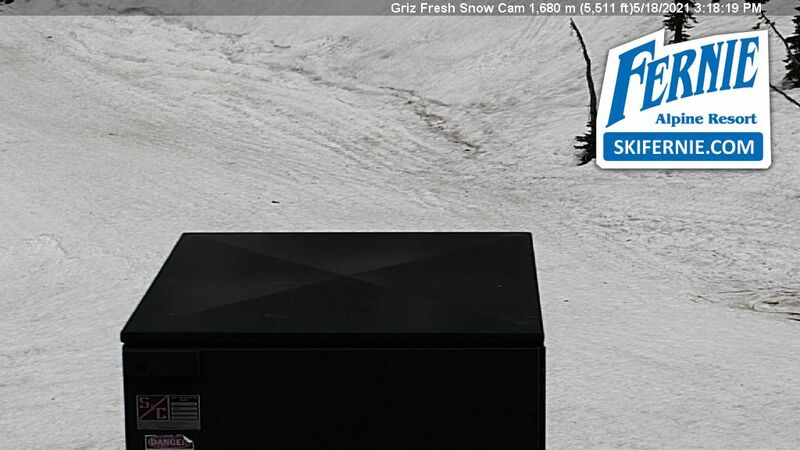 The clock is ticking away with only five days left before lifts start spinning. Back to work!